The Origin Live Technics Armboard enables you to radicaly upgrade your deck to use a Rega RB250, RB300, RB600 or any Origin live arm with your Technics SL1200, SL1210 or turntable. It does not fit the Technics SL150 unless you are prepared to drill the 4mm bolt holes yourself. 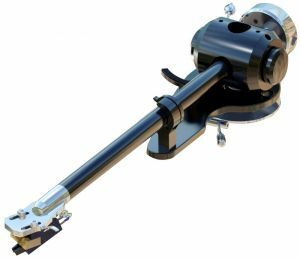 The armboard fits all versions of Rega arms - both the older style threaded base and also the newer 3 point mounting. Please note that Rega arms with the 3 point mounting cannot use a threaded vta adjuster. The armboard is not only functional, but in itself is designed to massively improve the performance of your arm over other types or alternative boards. 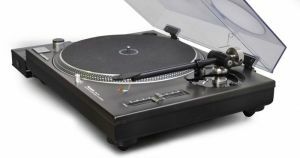 This is due to the extensive and renowned design experience in energy transmission that Origin Live have applied to the design - what seems a simple design has an almost infinite number of variations in configuration and materials used - the importance of the arm / turntable interface is critical - don't forget that any excess resonance gets magnified over one million times into the signal to your speakers. Eliminating excess resonance results in a vastly improved clarity and purity in the music. Full fitting instructions are provided and you only need a normal DIY ability to do the job yourself - no electrical skill whatsoever is required.